Is greatness and genius bred in childhood or acquired with age? Does an unusual upbringing make for a creative person? Edgar Tafel had quite a colored past which seemed to lead him on a path of creativity and activism. Tafel’s parents were born in Russia and immigrated to New York where they owned and operated Tafel Wholesale Gowns. They soon purchased a home on the Ferrer Colony in Stelton, New Jersey. The seeds of the Ferrer Colony began with Francisco Ferrer, a Spanish educator and radical thinker who was executed in Barcelona in 1909. 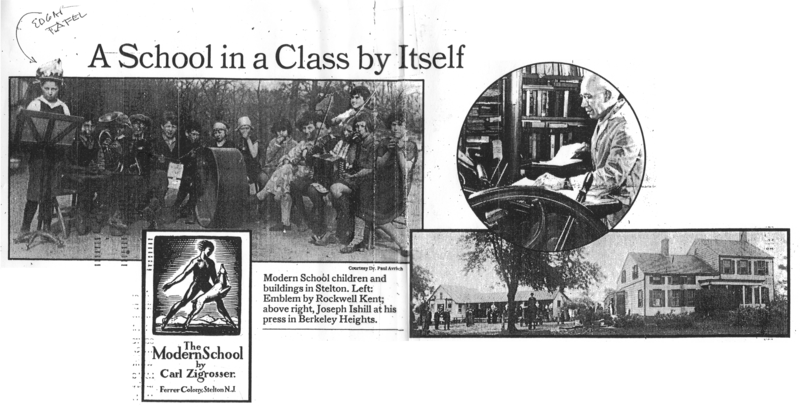 Soon after, American anarchists began opening Ferrer Modern Schools in his honor across the United States. Tafel attended the Modern School in Stelton, the longest-running school which lasted 1915-1953. The above article shows Tafel as conductor of the Modern School orchestra. The Modern School taught progressive education, where often the teachers were parents of children attending the school. The School’s mandate was to teach from example and experience and not from instruction and memorization. If a colony member had a particular talent, such as typesetting or carpentry, the children were taught that skill, as well as being free to study whatever interested them. 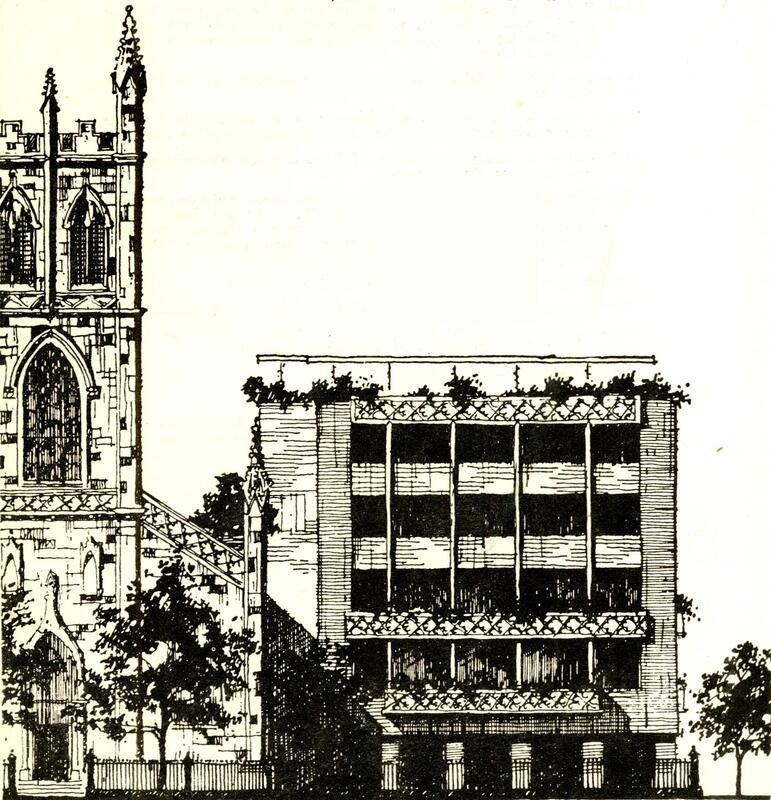 It was at the Modern School where Tafel began constructing a model city; perhaps his first foray into architecture. Growing up in a progressive colony, and later attending high school in Manhattan, Tafel experienced both challenging big-city life and radical free-thinking, a foreshadowing of his future education as an apprentice at Taliesin and opening his own architectural practice in New York City. *The picture is from an article in The New York Times, by Joseph Deitch, March 8 1981. This entry was posted in Biographical Information, Findings and tagged childhood, education, Modern School, Tafel on July 10, 2012 by .